Like a proud parent, I was beaming this afternoon when I first laid eyes on Takajo’s Okees, who returned from a fabulous trip out west. Even the two-hour delay in their return trip home, could not derail their enthusiasm for this once in a lifetime experience. We gave our oldest boys the opportunity to sleep in this morning and catch up on some well deserved rest, so it wasn’t until lunchtime that we saw our leaders in camp. 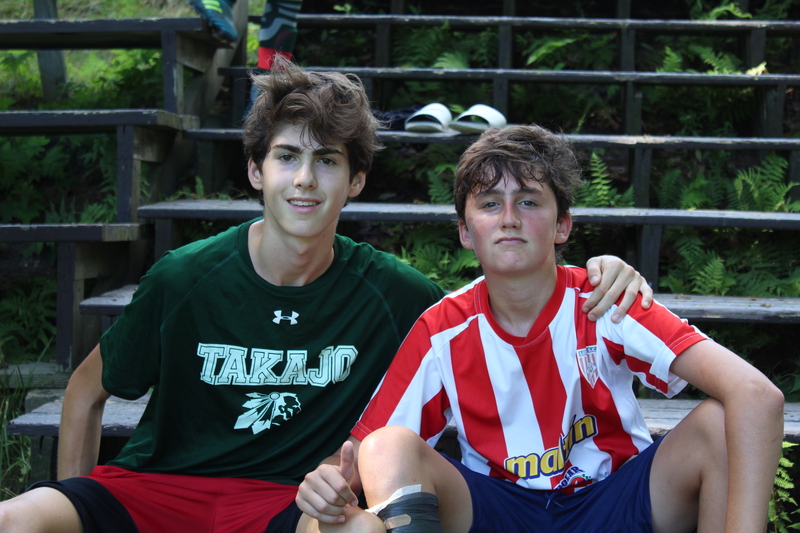 After lunch, our oldest campers could not wait to hit the playing fields and break a sweat with their friends. I happened to catch the tail end of a soccer game, which came down to penalty kicks after a hard-fought match. As one would expect, each team selected their top five players for the PKs. After all five players had shot, the score remained tied and each team had to go deeper down the bench. What was meaningful for me was witnessing the entire team rally around the unassuming player who was being called upon to lead their team to victory. The score remained tied until the eleventh player on each team was needed to take a penalty kick. Eventually, there was a winner, but the way both teams conducted themselves and made each player feel a sense of worth was the best take-away from the match. 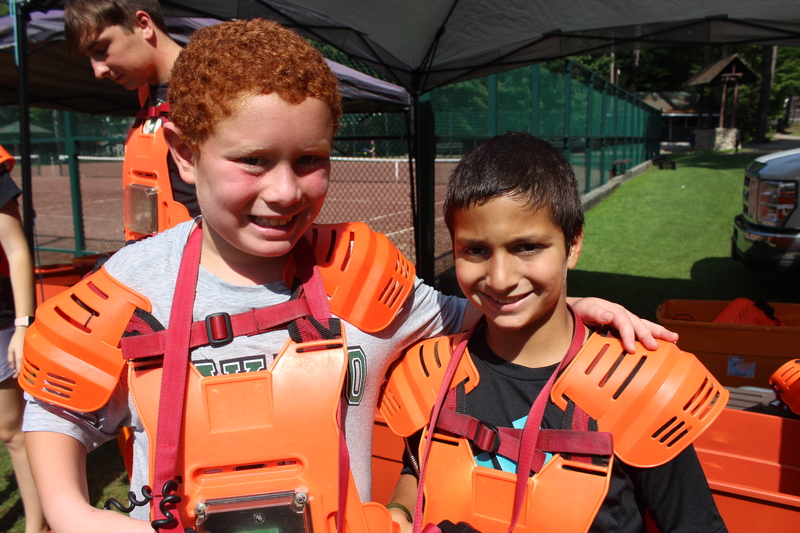 The rest of the camp was delighted to see laser tag set up on the senior baseball field. The entire field had inflatable obstacles, which created the perfect venue for our boys to have a carefree day in the sun. The Warrior Crows and Braves finished their tennis tournament. This all-day event featured some amazing matches and terrific sportsmanship. Every camper had the chance to participate, and we noticed a great improvement in our boys’ play from the beginning of the summer. The smell of Olympics is in the air, and all three age groups are on pins and needles, as they await the start of this four-day competition. Campers from all age groups eagerly anticipate finding out which team they will be on and when the olympic break will take place. Tomorrow, our Sub-seniors return from their trip to Canada, and we will once again all be back in camp as one family. While I love the opportunity for our boys to travel and explore, nothing makes me happier than seeing them when they return home.